The Samsung SCX-6322DN is a medium-sized, business class multifunction monochrome laser printer with many features and functions targeted towards medium business. This “Entrepreneur Printer” can produce professional quality documents at reasonable speeds that are suitable for any business application. 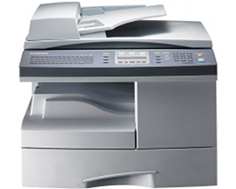 Printing, scanning, faxing, copying, network connectivity and document duplexing are all standard with this model. Overall, the Samsung SCX-6322DN is a simple and easy print solution that offers low maintenance and operating costs with integration into any business situation. The Samsung SCX-6322DN can achieve print speeds of up to 23 pages per minute for single-sided printing and up to 13 sheets per minute for automatically duplexed printing. The first page out time is less than 12 seconds from standby mode, enabling quick document printing on the fly, whether it be a single page or multiple page job. Maximum print resolution for this model is up to 1,200 dots per inch effective output. First copy out time is less than 10 seconds for the platen and less than 13.5 seconds for the automatic document feeder, which offers document copying options that are both fast and convenient. Multiple copy range is between 1 and 999, accommodating any medium volume job without the need to continually enter commands into the keypad. Duplex copying can be done at 1:2 or 2:2, transferring a double-sided original to either one or two pages. ID copy, 2-up, 4-up, poster copy, clone copy and collation copy provide plenty of variety to suit many types of standard and special business needs. Copier resolutions are 600 x 600 dots per inch for text only, 600 x 300 dots per inch for text/photo mode and 600 x 600 dots per inch for photo mode. Optical scanning resolution can be set to a maximum of 600 x 600 dots per inch and can be enhanced up to 4,800 by 4,800 dots per inch for quality results when sending documents and images to shared network drives for storage and paper reduction. Documents can also be scanned directly to email or FTP. The built-in fax module comes equipped with a 33.6 Kbps fax modem and 8 MB of page memory that can store up to 640 pages. 240 speed dial locations can be programmed into the unit for ease and convenience when faxing to multiple locations in a row. Fax features such as a junk fax barrier and fax forwarding to email ensure that a business will consistently receive the fax transmissions it wants and will not receive transmissions that are not wanted or solicited. 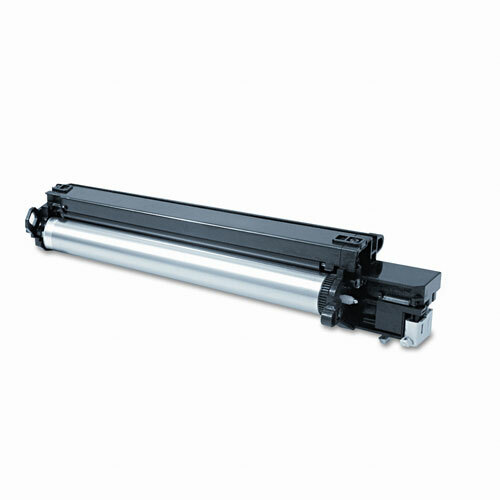 The Samsung SCX-6322DN comes standard with a 550 sheet paper input tray and a 100 sheet multipurpose tray. An optional 550 sheet tray can be added, providing a maximum possible paper input capacity of 1,200 sheets of plain paper at an average 20 pound weight. A wide range of operating systems are supported, providing the means for connection to virtually any type of network or individual computer. Windows systems up to Vista are compatible, as well as Mac OS X and various builds of Linux. Connection interfaces include USB 2.0, parallel and 10/100Base-TX fast Ethernet, allowing for direct connections to individual computers or sharing as a network resource through a print server, router or hub. Speed is sacrificed for output volume, being only two thirds that of comparable models that can produce documents quickly but in fewer quantities. Copy resolution is low for business class needs, making graphic image and photo output grainy and pixelated with limited grayscale capabilities. Copy speed is also slow, approximately two thirds to one half that of larger, industrial grade units. Like a lot of similar models, the paper input trays cannot accommodate any type of media besides standard weight plain paper. Envelopes and other types of media must be loaded one at a time through the multipurpose tray. Review it: "Samsung SCX-6322DN "
The Samsung SCX-6322DN ships with a starter cartridge that has an average yield capacity of 8,000 pages at 5% coverage. Replacement cartridges can be purchased with the same yield capacity. Drum unit replacements are separate from the toner cartridges, offering the full 20,000 page duty cycle without having to be changed as often as toner runs out.